We have developed a reputation for delivering the best quality steel products in the market, from high volume parts manufacturing to customized products. The WS advantage includes a wide range of custom fabrication and finishing capabilities. Our fully integrated environment helps our great people carry out innovative design and engineering and precision manufacturing via our state of the art facilities. See our full list of capabilities below. You can also download the PDF. Our Aquence® coating applies a strong protective coating to metal surfaces, doubling the rust resistance of your parts compared to powder coating alone. The coating is applied through autodeposition using a series of tanks to clean and coat the steel, resulting in an even application, even in difficult to reach locations of the surface. Autodeposition coatings provide exceptional performance due to direct bonding of the coating, delivering improved finish appearance and superior corrosion resistance. In addition, it provides outstanding thermal stability. 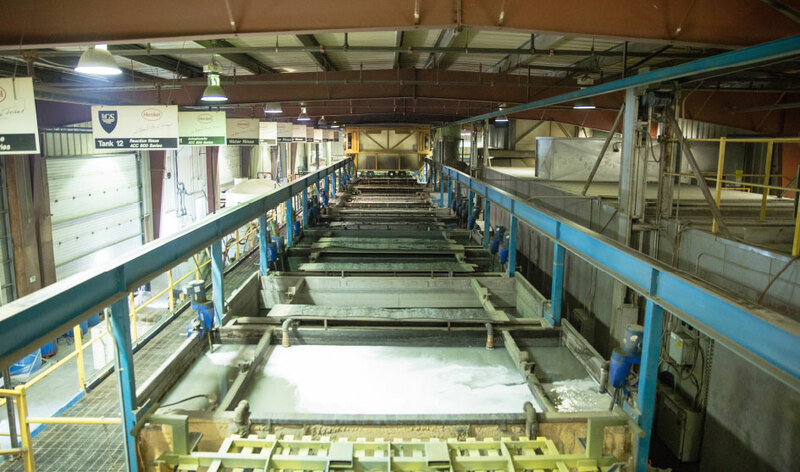 WS Steel uses a batch system with four booths to Powder Coat. We use a durable line of powder coatings that are extremely resistant to all weather conditions and are an ideal solution to a multitude of exterior applications. They are available in a wide range of colors and textures and are environmentally friendly, emitting no harmful VOC’s. If you prefer to wet paint your product, we can do that too. 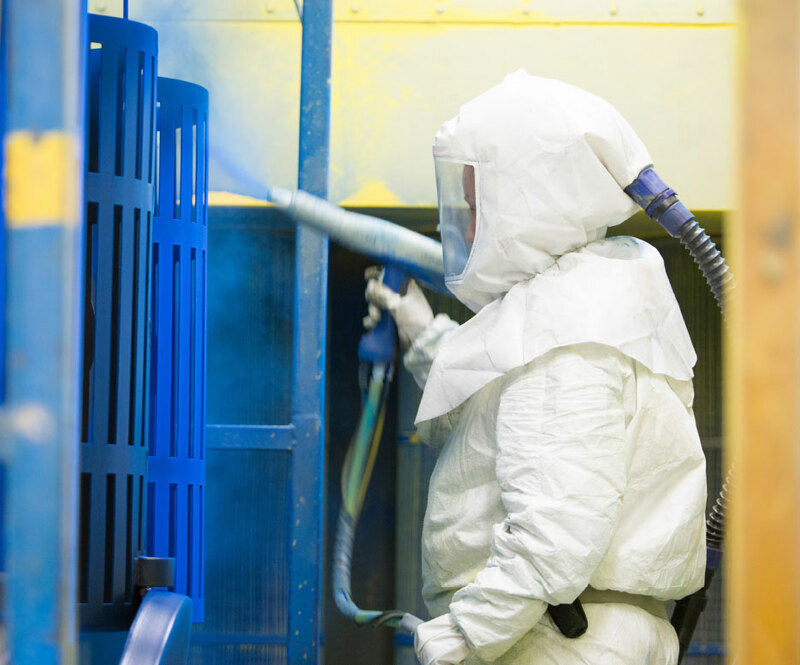 Our shot blasting booth is ideal for large projects while our wheel blast system is designed for small parts that require profiling. Our wet coat painting technology provides a high quality finish – backed by our finish coat analysis capability. WS Steel assembles your products in-house and delivers the finished product to your door, using our own fleet of trucks. Because every step of the process is done by WS Steel, you can be confident your product will be the best quality product in the market, delivered on time, to your specifications.